Boralis is the northern coastal region of Rivenspire. 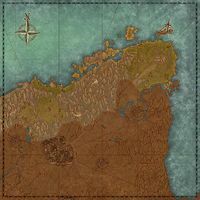 It includes the city of Northpoint in the east and The Doomcrag in the west. 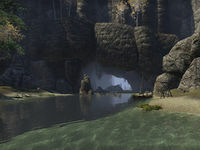 The Boralis Dolmen is on the coast north of The Doomcrag. It is bordered by the Eyebright Feld and Westmark Moor to the south. 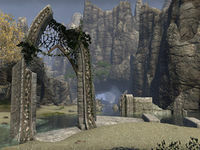 Western Boralis is littered with the ruins of Erokii, once the greatest Ayleid city in the northwest. The Barefoot Breton: Find a drunken man's stolen shoes. Guar Gone: Help find a lost guar. The Lady's Keepsake: Recover stolen jewelry from the Bitterhand Bandits. Last Words: Help end a reluctant vampire. Love Lost: Tell a grieving husband of his wife's fate. ​ Sword of Ravenwatch 5 Kill Baron Wylon Montclair and destroy the Lightless Remnant at The Doomcrag to save Rivsenspire. This page was last modified on 10 May 2017, at 11:28.